How customers find you is important to know. If you pay for advertising, attend networking functions, belong to associations and have people refer to you, you want to know which marketing channels are best to use – and which you might want to drop. You may also want to reward those who refer to you, whether it is a simple thank you note or a gift of some kind. Tracking the source of leads and referrals can be very useful! Enter the source of the lead in your notes. However, the problem with this method is that it’s hard to get any reporting to help you see your top marketing channels and referral sources. Use a custom field. Once you create a custom field, you can use it in reports and templates so I love using them. 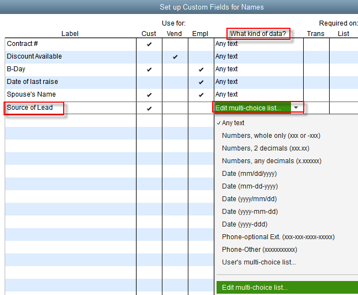 To create a custom field for a customer, click on the Additional Info tab then click on the Define Fields (lower right-hand corner), then enter the name of the field and click on the Cust column. 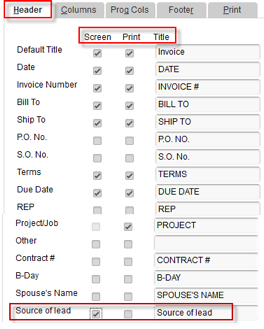 If you use Enterprise, you can even have a drop-down list, so names are consistent. 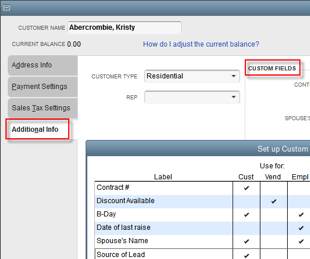 To see sales dollars from your leads, BE SURE to have this custom field on your invoice (does not need to print) as shown below. FYI, while the Other field seems nice, you can’t access that information from a report, but you can access your custom field. To get a report is a few steps, but you can memorize the report so it’s a one-time setup. On the Display tab, scroll down and select Source of Lead and click on/off any other fields you want or don’t want. You can export out to Excel to get totals, eliminate those where source of lead is blank, etc. I found personally, that when tracking with Custom Fields, there was no easy way to filter for referrals, so I used R for referral (as opposed to some other lead source) and had a 2nd custom field where I could list the name. That way I could filter on R and sort by the name. Also, if the leads came from other sources (such as a conference or a networking function), all the “Rs” would still be together if you sorted on the Source of Lead column. The problem with the Custom Field method is it is somewhat cumbersome (unless you use a third-party reporting tool) and QuickBooks won’t total by a custom field, hence exporting to Excel. 3. A simpler method I’ve started using, is the Sales Rep field. If you really have sales reps, this might not work, but if you don’t have a sales team, you might like using this field instead. 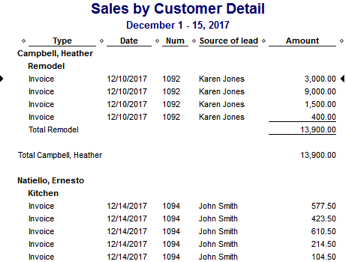 QuickBooks has a built in report that lets you track your sales by sales rep (summary or detail) – much faster than exporting to Excel and sorting. Again, be sure the Sales Rep shows on your invoice (does not need to print). 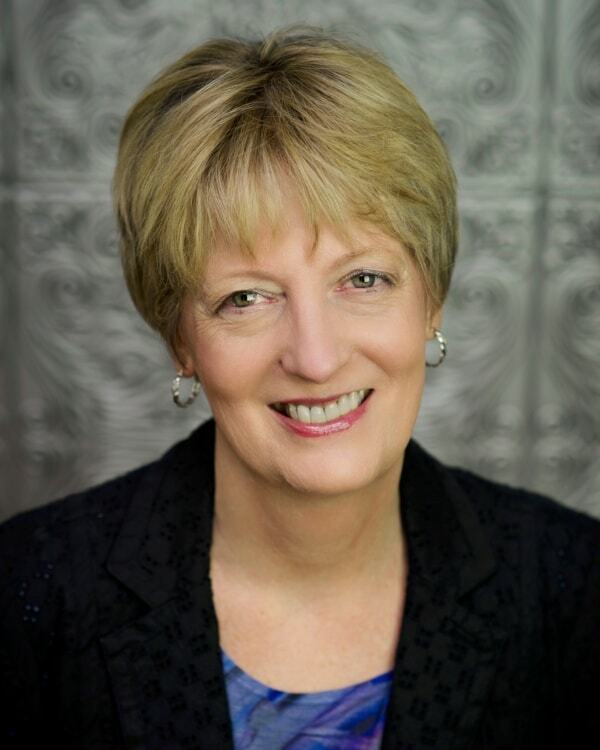 As business owners we all want to know the best ways to get our ideal customers. Use this method and see what you learn!